The Election Commission said polling in Chhattisgarh will be held as per the schedule. 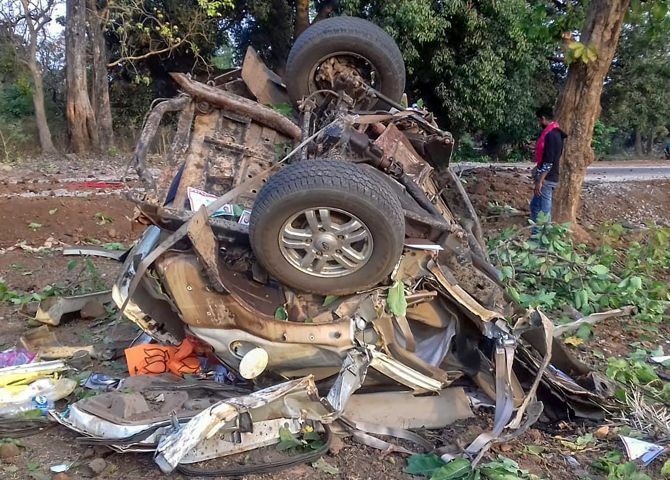 A Bharatiya Janata Party MLA and four security personnel were killed in Chhattisgarh on Tuesday as Naxals blew up their vehicle, two days before the first-phase of the Lok Sabha elections in the state, police said. 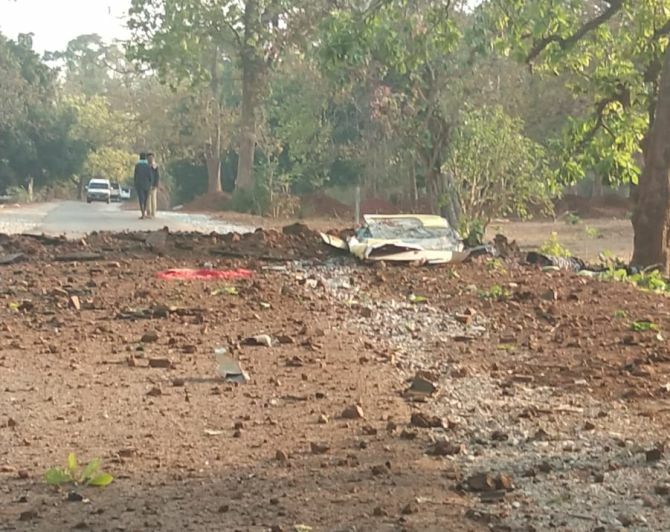 BJP MLA Bheema Mandavi and the four others were killed as Naxals targeted a group of BJP leaders travelling in a convoy of three vehicles, including the MLA's bullet-proof one, in Dantewada district, police said. Addressing a press conference, state Director-General of Police D M Awasthi said a local police officer had called Mandavi and asked him not to take the route, citing security reasons. "On Tuesday, at around 9 am, Mandavi had left for poll campaigning in the security convoy of his three vehicles, including his bullet proof one," Awasthi said. "The MLA's convoy was escorted by additional security of 50 District Reserve Guard men on 25 motorcycles. After completing his campaigning in Netapur, Tannenar and Metapal villages, Mandavi reached Dantewada party office at around 1 am," Awasthi said. "Mandavi told DRG security in charge that he was done with campaigning for Tuesday and the additional security can be withdrawn," he said at a joint press conference with DG (Anti Naxal Operations) Girdhari Nayak. "After lunch, Mandavi went to Kirandul party office from where he headed towards Bacheli. When Bacheli Station House Officer Shil Aditya Singh came to know that Mandavi was heading towards Kuwakonda from Bacheli, he called him and asked (the MLA) not to take up that route citing security reasons," Awasthi said. Despite advisory, Mandavi went ahead on the route and the incident took place about 4 km from Kuwakonda, he added. "The MLA was alerted, but he ignored it. If he had not gone through that route, the incident could have been averted," Awasthi stressed. "After the blast, an exchange of fire broke out between Naxals and security personnel who were in other two vehicles of the convoy. The ultras soon escaped from the spot," the DG said, adding that exact number of rebels involved in the attack was not yet known. Soon after being alerted, security forces led by Dantewada SP Abhishek Pallava rushed to the spot for rescue operation, he added. Earlier in the day, Chhattisgarh CM Bhupesh Baghel spoke to DG anti-Naxal operations, an official said. Former Chhattisgarh CM Raman Singh said, "I am in contact with central ministers and spoke to PM Narendra Modi an hour ago. I will go to Dantewada and meet families of the deceased." The incident occurred at Shyamagiri hills when the BJP MLA's convoy was heading towards Kuwakonda from Bacheli area, about 450 km from state capital Raipur. The convoy was travelling between Kuakonta and Shyamgiri in Dantewada when it was targeted by the Naxals. 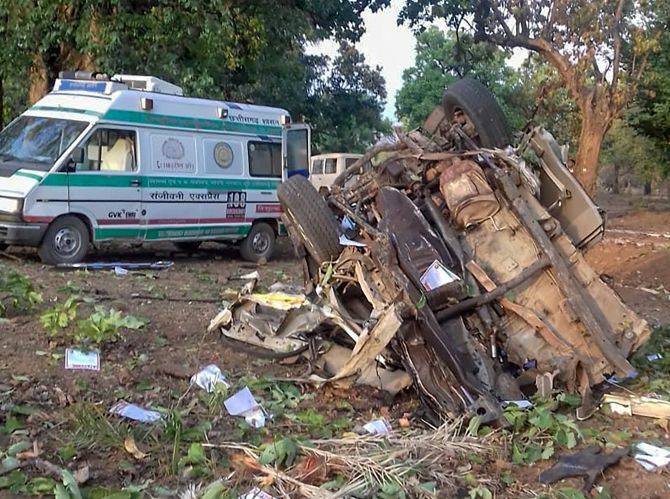 The other deceased were identified as head constables Chhagan Kuldeep and Ramlal Oyami, constable Somdu Kawasi and driver-constable Danteshwar Maurya. Kuldeep, Oyami and Kawasi are PSOs of Mandavi, police said. Prime Minister Narendra Modi "strongly" condemned the attack in Chhattisgarh, saying the sacrifice of those killed will not go in vain. "Strongly condemn the Maoist attack in Chhattisgarh. My tributes to the security personnel who were martyred. The sacrifices of these martyrs will not go in vain," he tweeted. Home minister Rajnath Singh tweeted: "I spoke to Chhattisgarh Chief Minister Shri @bhupeshbaghel regarding the IED attack in Dantewada and expressed my grief over the martyrdom of state police personnel. He has also apprised me of the ground situation in Dantewada." The Congress condemned the Naxal attack, with party president Rahul Gandhi terming it a "very tragic" incident. Meanwhile, the Election Commission said polling in the state will be held as per the schedule. CEO, Chhattisgarh held a video conference meeting of collectors and SPs of the affected districts covering phase 1 and phase 2 in Chhattisgarh and instructed them to take "utmost precautions" over the next few days. Speaking at the late evening press conference, DGP Awasthi said enough security was being provided to public representatives campaigning in the area. "Security audit will be done for the second phase of poll on April 18 in which some Naxal-affected areas will also witness polling," he said. Earlier, two Deputy Inspector Generals of Police - Ratanlal Dangi and Akbar Ram Korram were deployed in Sukma and Bijapur district respectively to look after poll security, and now DIG Amresh Mishra will also be sent to Dantewada, Awasthi informed. Dantewada falls in Bastar Lok Sabha constituency, which will go to polls in the first phase on April 11. For the polls, a security blanket of over 80,000 personnel, and drones, have been deputed in and around Naxal-infested Bastar region. Four BSF personnel were killed, while two others injured in an encounter with Naxals in Kanker district Thursday. 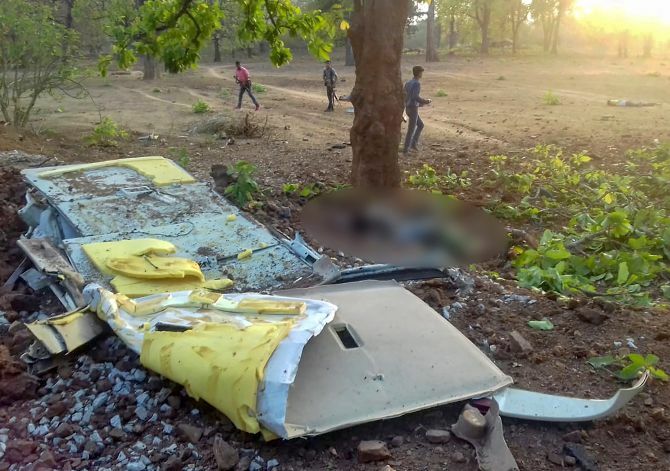 Before the assembly polls in November last year, a CISF personnel and three civilians were killed in Dantewada when an IED planted by Naxalites tore through a bus. Ahead of assembly polls in 2013 in Naxal hotbed of Bastar, 27 people, including senior Congress leader Mahendra Karma and former Union minister VC Shukla, were killed in ambush.